Here is Our 2015 Series on False Arrest Cases! Our articles below include true and accurate facts, documents and court decisions from a recent false arrest case we successfully litigated against police officer. 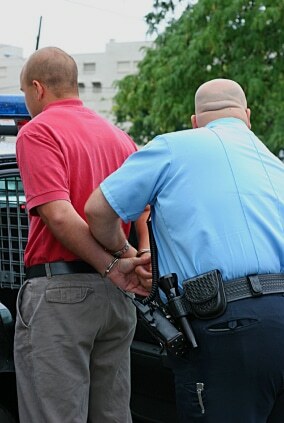 A police officer can only detain a person with an arrest warrant, or with probable cause that a crime has been committed. Of course, determining whether a police officer had probable cause to arrest is usually a close call. Therefore, evaluating whether subsequent civil suit against the officer and against his employer is worth your time and money gets very complicated. We hope that the series of sample documents presented herein helps you understand this (sometimes complicated) area of the law. – Without a legal basis for the confinement (i.e, falsely). The police misconduct and civil rights lawyers at Martin & Colin, P.C., handle false arrest and false imprisonment cases. If you have suffered damages or losses due to a false arrest or imprisonment due to police misconduct, our attorneys may be able to help. Please email us by using the ‘Contact Us’ form on this page. The false arrest, excessive force and official misconduct lawyers at Martin + Colin, P.C. have expertise handling: illegal searches and seizures, improper stops, police brutality, excessive force and false imprisonment claims.